We live in a democracy and here to elect your representative, the most important document required is the voter ID card. It is also an identity proof which is accepted in all government authorized institutions. The Election Commission of India has the authority to register the voters. 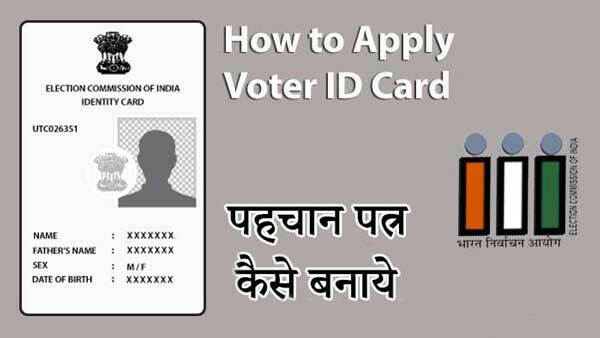 They made the application process for voter ID card in Raipur, Ambikapur, Bhilai-Durg & Bilaspur Chhattisgarh very simple now. Like most other states, the process is same in Chattisgarh too. The whole process is mentioned below. Fill up the registration form with appropriate details. Do not enter any wrong information as it is a criminal offense and you may be fined or jailed for it. Don’t forget to upload all required documents. Upload your color passport size photograph with white background. If you are not sure of any information, you can save the information and edit later. You get a maximum time of 15 days for updating any missed out information. After checking all, submit the form. An acknowledgment slip will appear on the screen. Download and take a print out of it. It can be used later to track the application status. The verification will be done and your voter id card will be issued. You have to visit your nearest electoral office and ask for a copy of Form 6. You have to fill up the form with accurate information. Attach all required documents with it and submit it to your nearest electoral office. You will be given an acknowledgment slip which can be used later to track the status of your application. The verification will be done by BLO (Booth Level Officer) of your area. He may visit your house for physical verification. When all found good, your voter id card will be issued and sent to you via post to your registered address. If you have any suggestions or questions, do not forget to express them to us via our comments section.